Each week I write a brand new article to support members of our three wonderful groups on Facebook, The Artists Exchange, The Artists Directory, and The Artist Hangout. This week as we head into the Easter Break we take a deep dive into the art related shows, films, and documentaries you can watch online to enhance and develop your art career. By some miracle it continues to look like there was no loss of life, and by another miracle much of the damage done to the artworks and treasures was caused by smoke. With the Louvre Museum which is the world's largest art museum stepping in to store and recover the works, I am sure and I sincerely hope that many of, if not all of the works can be saved through their expert restoration. 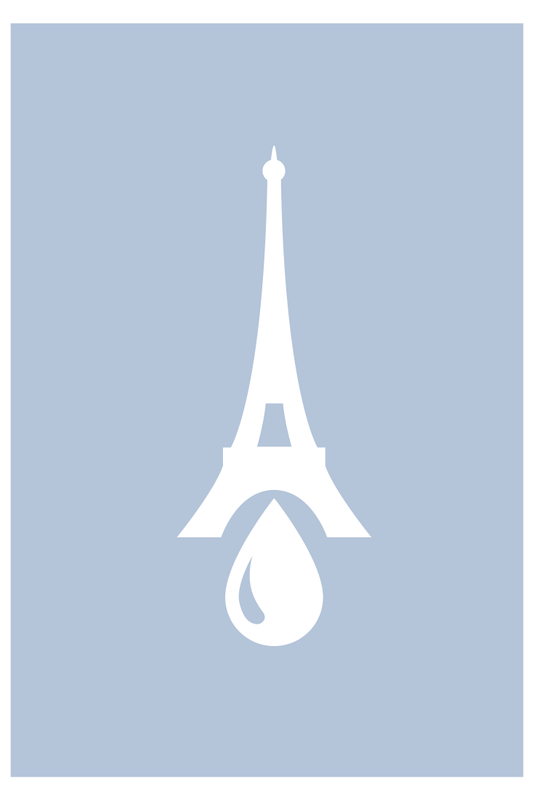 So before we start this week I would just like to ask people to stand with me in wishing the people of Paris our very best wishes and most sincere thoughts and prayers. I would also like to wish everyone the very best for the upcoming Easter break. I have published slightly earlier this week because I will be taking a short break over the holidays. Okay, I have two weeks away from the day job where I will be catching up on some of the jobs that have long been overdue, and I will be working on a few new artworks. Not much of a break but at least I will be able to do all of this in the daylight hours! Whatever Easter means to you it can also be a good point in the year to take stock of how far we have or haven’t come as artists since the New Year started. For some it will be a time of religious celebration, for others it can mean other things entirely, but Easter is always a good time to reflect back over the previous few months and start to prepare for the months ahead in our world of art. It is also a great time to think about the projects we have ahead and to also reflect on our own self-development as artists. If you are taking time off it can also be a good time to catch up on all those things you promised yourself that you would do, or just as importantly you could even just take a much deserved break. But if I know visual artists, we are not always good at simply sitting around and doing nothing much at all. I will be taking a couple of weeks away from the day job and already have the time planned out. There are works I need to finish, articles I need to write, and that marketing thing we have to do that never really stops. But I also have some opportunities to develop my own art practice. Opportunities that I have been promising myself that I will get around to doing for a long time. There will be a brand new art group joining our three existing groups, the difference with the new group will be that it is a private invitation only group which will be a forum where artists can just hang out and discuss their work and the business of art rather than it being yet another sales group. It will also be a place where artists really are there for each other, where artists can vent their own frustrations either with their own work or within the industry which can often be brutal. The new group will go live over the Easter break. Aside from setting up the new group I will be focusing on some of the works I need to get around to completing. Those works that don’t need too much more effort to get them over the line and I will be hopefully releasing some of the promised free art downloads on this site’s companion website at https://beechhousemedia.com very soon too. This week we will be taking a look at some of the films, programs and documentaries that you can watch, and that will give you the ability to increase your own skills sets and awareness of what goes on in and around the art word. Let’s start the Holiday weekend with a few of the shows that can contribute to your professional development, and remember, you can still class watching these as work related activity! Regular readers will know that I am a huge fan of making sure that every artists at least does a little in the way of developing themselves on a regular basis. 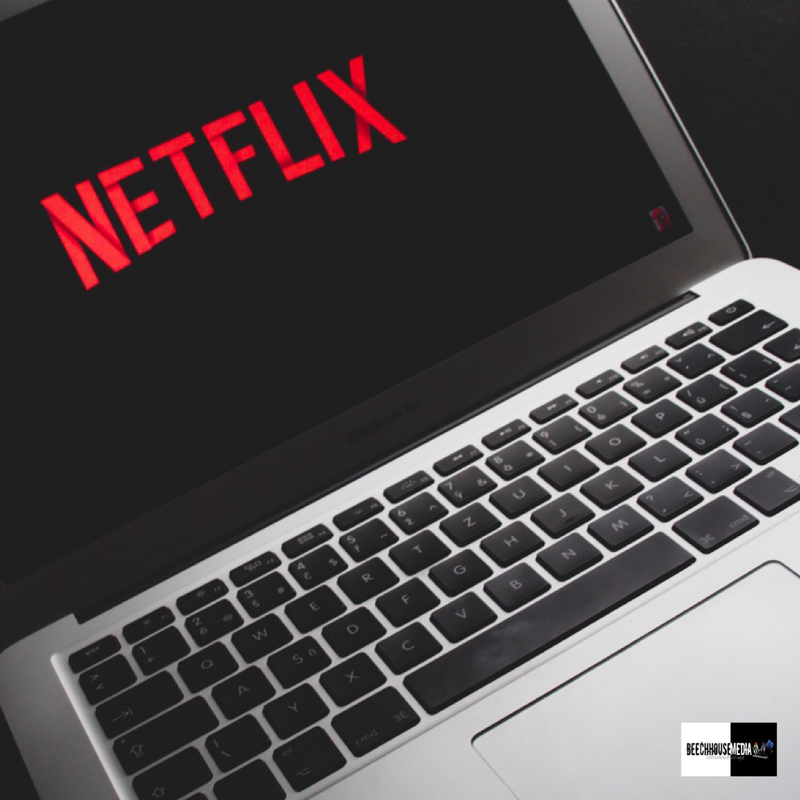 YouTube, the internet as a whole, even streaming services such as Netflix, Hulu and Prime Video are now streaming informative shows and documentaries that focus on the arts and from some of these we can learn more about the wider arts world than we can often find out by other means. 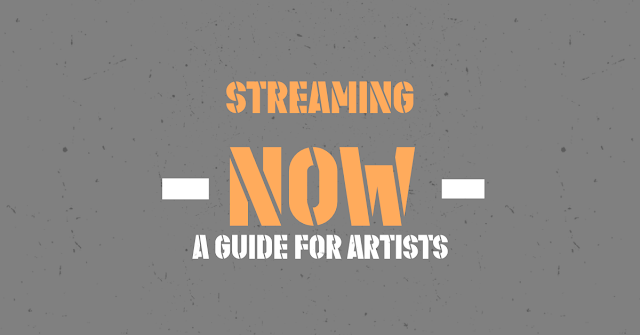 Back to streaming and if you are anything like me you will spend more time scrolling through the contents of streaming services such as Netflix and Amazon Prime Video trying to decide to watch next. As artists we often lead busy lives when we’re not painting and creating and figuring out what we want to watch in any spare and rare free time can often take longer than it takes to watch a film or documentary in the first place. Just last night I finished binge watching a series only to then spend the next hour or ten working out what might be worthy of my time next. I’m also one of those people who have an extended watch next list. I see something I like the look of, add it to my list and then never go back and watch it, it is as if my viewing tastes change overnight. I went through a phase of watching Big Foot documentaries last year for an art commission I had to work on, this year to date it has been an endless loop of art-world films that for one reason or another I had managed to miss when they first came out. Let’s look at eight of the titles that have stood out to me as an artist over the past few years and these are the titles that I have got at least some knowledge from or have used to fill in some of the gaps. I have purposely not included films and TV shows that have an arty plot line and which have been based in some fantasy world, all of these titles have been chosen as they each offer an interesting glimpse and insight into the very real world of art. If they are not available on your usual streaming service, take a look around online or watch out for them to appear as most of these come and go between services with the exception of Netflix Originals. Content not being available in my region and that Brexit thing that is going on over here in the UK are the top two reasons why I would rather be based in the USA. In the US, the range of content available on Netflix is phenomenal and that’s the library I want to watch, Canada’s library is so much better too. I know that streaming services have licensing issues and the services can’t show the content they have everywhere at the same time but by comparison the libraries in other countries are nowhere close to the libraries of content available in the USA and Canada. Thankfully with films the subject of the arts is still a relatively niche area which means that many of the art programs and features do tend to be more widely available globally. Not all of the time but I would be surprised if any that we touch on today aren’t available at least one of the big streaming platforms outside of the UK. So what has been consuming my viewing time lately? Let’s dig in and find out. A documentary that chronicles artist and activist Ai Weiwei as he prepares for a series of exhibitions and gets into an increasing number of clashes with the Chinese government. The documentary was directed by Alison Klayman who was named by the New York Times chief film critics A.O. Scott and Manohla Dargis on their international list of 20 Directors to Watch. She also directed another show that appeared on Netflix called Take your Pills another one that some will find an interesting addition to their watch list. Scoring a reasonable 8.1 on Metacritic, Ai Weiwei’s film looks in depth at the Chinese activist artist who proactively condemns his motherland government for repression amongst other things but it is a truly inspiring film about one man’s fight against a country. Running at 91-minutes it is a good way of filling in time between seasons of anything else and a definitive must watch for anyone interest in Ai’s work and his story. The cinematography is beautiful but before you watch it, make sure you familiarize yourself with his Sunflower Exhibition first. From me it scores a solid 8/10, so go on and add it to your list. The last film by the late Albert Maysles who directed classics such as Gimme Shelter, IRIS, is a documentary about fashion icon Iris Apfel. She had a massive presence on the New York fashion scene for decades, and this truly is a story of creativity. If you want inspiration and want some uplifting examples of how to really live a life, IRIS has it all in abundance and she has a positively sharp sense of humour to boot. At around 79-minutes there isn’t an entire evening of entertainment but the story will stay with you forever. Before I watched this I had read the reviews which were generally very positive, it received a score of 80 from Metacritic and won two awards, the Cinema Eye Honors Awards, US, and Best Documentary Feature in the Hampton's International Film Festival in 2014, and was nominated for two others. Some reviewers across the internet didn’t do it enough justice but it’s a solid film that manages to be inspiring throughout. Sometimes that’s all you need from any film. Another definite watch it and add it to the list, but watch it sooner rather than later. From me it’s another 8/10 and certainly worthy of your time. Wolfgang Beltracchi was a German art forger who made a fortune selling forged works of artists such as Ernst and Derain. The film itself is surprisingly humorous at times as it goes through how Beltracchi fooled the art world for more than four decades. “You don’t have to be a genius to do a painting like that,” as he observes one of his own works hanging on his studio wall. What managed to hook me was the artist’s attention to detail around how he carefully selected the right canvas support taking into account its age and material to perfectly match the supports used by the original artists at the time. Art forgery is a subject that I have been at time mesmerized by, other times been mortified by, but it all points to a single question, and that is why the art world consistently refuses to acknowledge him as an artist at all. It’s a good question and one that I am sure everyone will have an opinion on. The Metacritic score was 73, my score I have to say is slightly higher because the entire subject fascinates me deeply. At 93-minutes it is a great start to a great evening’s entertainment and education in the arts so I have to say that I am scoring it a solid 9/10 just for broaching such a fascinating subject matter and doing it so well. A look behind the computers into the art and science of design, Abstract: The Art of Design is (In the UK at least) a Netflix original and one that I must admit took me a little while to get around to watching. Netflix originals are either sheer brilliance or completely middle of the road, they can be a bit of a mixed bag at times but this one is somewhere on the upper edges of brilliance. The problem is that it is only one season long and deserves a second outing to explore the world of design and develop into something even better than it already is. The shows follow eight designers and each have their own ways of thinking and doing and creating. In total the running time will fill around six-hours so you might have to spread the episodes across two or three evenings, but also watchable if you want an all-out binge. It’s a welcome escape from the linear and predictable TV that’s doing to rounds at the moment and explores the work of eight prolific designers with subjects such as stages, shoes, and interior design. It’s an interesting glimpse into how other designers and artists approach their work and if you are new to the arts or starting any form of study, this should already be on your watch list. Sometimes you don’t need the adrenaline rush that comes with Game of Thrones or any of the Marvel adventures (why did they kill off Daredevil?) What you sometimes need is something that is just beautiful to watch and this is probably that series and why I am giving this a definitive 8/10. I was a fan of the other Banksy film, Exit through the Gift Shop which was released back in 2010 (and another film worthy of a watch – 9/10 from me), it was both funny and gritty as you would expect, but the more recent 1-hour 20-minute Saving Banksy which was released in 2017 is perhaps a little more average but still worth a watch if you are a Banksy fan. If you haven’t as yet seen Exit through the Gift Shop, my advice is to start off with watching that one first. I have been a Banksy fan since I can’t even remember but certainly before he became the uber trendy must collect artist of a generation. Saving Banksy is a great watch but does lack some of the grit of the previous film. It’s not so much what is said in this film but if you are a Banksy fan you will be able to read between the lines and get a feel more for what’s not said and this is something that many reviewers missed. Whereas the film back in 2010 was completely about Banksy, this one takes a look at graffiti artists more generally and puts them on an equal footing with Banksy. There is of course only one Banksy, his work constantly surprises and delights but the other artists featured all have their own unique styles too. Banksy plays a role and a brilliant game in how he manages to keep a tight veil around his identity which only fuels the desire to own one of his originals even further. He’s a master of marketing with a real talent for producing gritty art with a message. In this film we look back to 2010 when Banksy left his mark on San Francisco not knowing just how much of an impact he would go on to have over the coming years. It scored a positive 73 on Metacritic and rates a decent 7/10 from me, but if you want pure Banksy then another film chronicling his 31 works of art in 31 days in New York City called “Banksy does New York” might be a better watch, but I would definitely avoid the 2012 effort called “How to sell a Banksy” which at 1 hour and 25-minutes long is about 1 hour and 24 minutes too long. That title was little more than a poorly edited home movie, which is a real shame because that subject could have been so much more intriguing. Many of you will likely have caught this one already and been in awe of the oil painted works of art that made up every frame of the film. Loving Vincent, is one that I missed at the cinema. It had a small release window at the local multiplex and was only shown for a short time. Despite that it still managed to win an Oscar and went on to take another 19 wins including a Golden Globe, and it also managed to amass more than 50 nominations. For those who haven’t seen the film yet there are a few expectations that first need to be set. If you are looking for a biography of Van Gogh’s life you aren’t going to find it here. 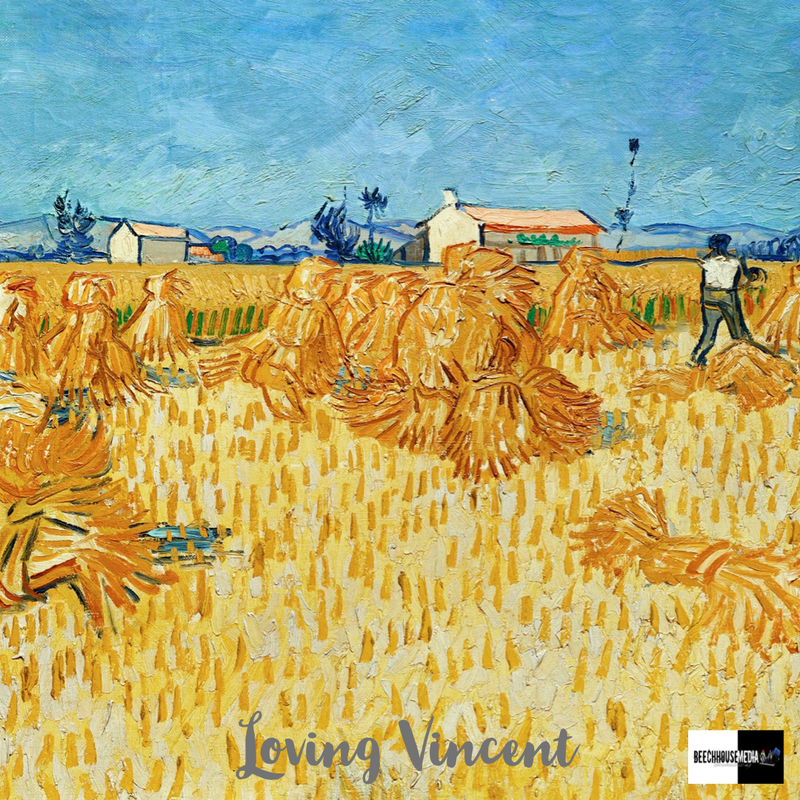 What this film looks at are the last moments of Vincent’s life and investigating a theory that first came to light in the 2011 biography written by Steven Naifeh and Gregory White which suggested that Van Gogh didn’t shoot himself but was instead shot in a prank by a local bully, René Secrétan, a 16-year old who wore a cowboy costume and carried a pistol. The beauty of this film is in the visuals. The individual frames which were painstakingly created by hand, all 65,000 of them were painted with oils on canvas in the style that Van Gogh himself used. More than 100-professional artists and exceptional to hear that more than 60% of which were women, had a hand in creating the movie which ultimately produced 853 different oil paintings. The film was originally created using live actors and then animated with rotoscope, a similar technique to the one we saw on Richard Linklater’s Waking Life, back in 2001. The difference with this film is that real oil paints were used and that makes a difference. Had the film been created using CGI style effects it would have lost some of the rawness that brings you closer to Van Gogh. Van Gogh is an interesting subject matter, no least that he died just eight years after starting to paint and who only managed to sell one of his works during his lifetime. For the artwork alone this film is a worthy watch and scores a 9/10 from me. The Price of Everything offers unparalleled access to a number of pivotal artists and the market around them and takes a deep-dive into the world of contemporary art. It also deeply reflects the time we live in where everything can be bought or sold. Exploring the labyrinth of the contemporary art world, The Price of Everything looks at the art and the passion behind the money-driven art world of today. Featuring artists, dealers, auctioneers, and collectors including the likes of Jeff Koons, the film exposes some deep contradictions as it holds this mirror up. It is equally as fascinating as it is horrifying at times. Both Koons, and Poons, and others pull no punches. Good art has to be expensive, it is almost a pre-unwritten requisite for art to be taken seriously in the contemporary art market. Opinion is spread between everyone and covers everything, but no point of view expressed by any of the participants is favoured over and above another and that is exactly what makes this film watchable. I would recommend this especially if you are looking at the contemporary art market and wondering why art goes for astronomically high figures at times, and whether you are a student, artist, or fine art collector, this really should be essential viewing. It scored a healthy 76 on Metacritic but I would definitely say that this is a solid 9/10 and if it’s not streaming right now, rent it. Somewhat similar in tone to The Price of Everything, Blurred Lines: Inside the Art World is another eye opener to those unfamiliar with the concept of millions of dollars changing hands for an art work on a Tuesday evening in the auction room. It is a world that is very different to the world that many working artists of today work in, but there are glimpses of the genius marketing machine behind what frankly can be a world that sometimes appears to be full of hype. Whereas The Price of Everything was focused on artists such as Koons, this offering casts a light on some of the shadowy practices that go on in the contemporary art market. Whilst not illegal in any way, this documentary feature goes a long way towards explaining in an often humorous style, how things like disclosure or rather the lack of disclosure work in the art world. Those who have sat in those auction rooms will find a familiarity, those who have never sat in those same rooms will wonder if the art market really is shadier than a sunbed in an arctic winter. This film looks at the art world differently enough to make it worth a watch even if you have seen The Price of Everything, and I would go so far as to say that this is essential viewing for any artist regardless of the space in which the operate professionally. 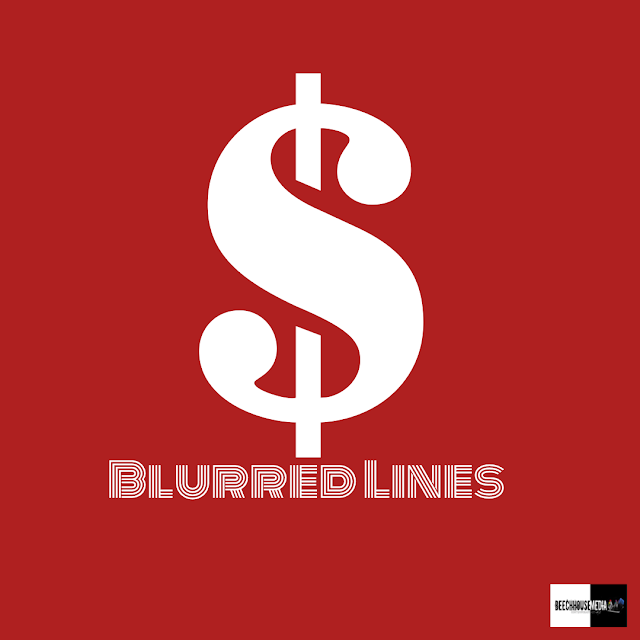 Blurred Lines really focuses on the marketing side of the art world and for those experienced or who have been around for a long-time, there are no smoking gun type revelations to be had, but if you want a reminder or an insight into the world of professional contemporary art it is a good use of just short of 90-minutes. There is certainly enough to inform and take away for most people but those who are used to spending Tuesday evenings with a paddle in the auction room, it could be a slightly more uncomfortable ride. It’s a 7/10 from me. Sometimes we need inspiration. We can do the go for a walk thing, we can take a much needed rest, but one of the most productive ways for me if the weather isn’t great, is to settle down and watch some TED talks that aren’t necessarily just about the arts. It’s important to take our learning as artists from lots of different sources. We might need to become inspired to be creative, we might need to develop and extend our comfort zone when we have to stand up in front of a crowd and give a talk about our latest work, or maybe we need to feel more confident in asking for help or asking for arts funding from patrons and arts grants. This is where platforms such as TED Talks can give you a much wider insight and start to fill in some of the missing pieces we know we need in our toolboxes as artists. As artists we often have to stand up and speak comfortably. Over the years I have spoken at hundreds of keynotes and I hope that I have kept people awake more than I have sent them to sleep. Despite so many I still get that feeling of dread so I can’t begin to imagine how Megan must feel when she talks in public in front of an audience. But as an artist who entertains on stage, public speaking comes with the job for her. You can listen to and watch Megan’s story right here. Sometimes the only thing stopping you being awarded that art grant is to stand up and talk and hope that you can hold the panel’s attention long enough. You have to have something to say. When I first watched this I immediately saw the correlation between standing up in front of people and holding their attention and the work that we all mostly do when we engage our audiences online. So whether you are standing up or posting on social media, there are more than a few useful pointers right here, from Julian Treasure. Some of you may already be familiar with the literary works of Elizabeth Gilbert and if you have ever watched the movie, Eat, Pray, Love, then you will know exactly who Elizabeth is. She describes her successes and also sheds light on her failures as a writer and how she knew that she had to work past the bad stories and focus on doing the next great thing. I won’t add any spoilers here but whether you are a writer, artist, or remotely engaged in any creative endeavor, this is a must see and you can watch it right here. At her first museum job, art historian Sarah Lewis noticed something important about an artist she was studying: Not every artwork was a total masterpiece. At just over eleven minutes long this is a coffee break filler that needs to be watched. Sarah is a well-respected veteran of the arts community and her words shouldn’t go unheard. You can watch Sarah’s TED talk right here. There are literally hundreds if not thousands of films and TV shows that have featured and depicted the art world over the years. White Collar took an art forger and paired him with an FBI agent across 81-episodes and there were even times during this drama when the lines between reality and fiction became deeply blurred. It was a terrific show and entertained until it got cancelled at the end of season six and remains one of my all-time favourite police procedural type shows to this day. The films and features, and TED Talks I have written about today all have entertainment in spades, but they also have serious value as an artist who wants to watch something that’s not just another Jason Bateman thriller, or whoever! 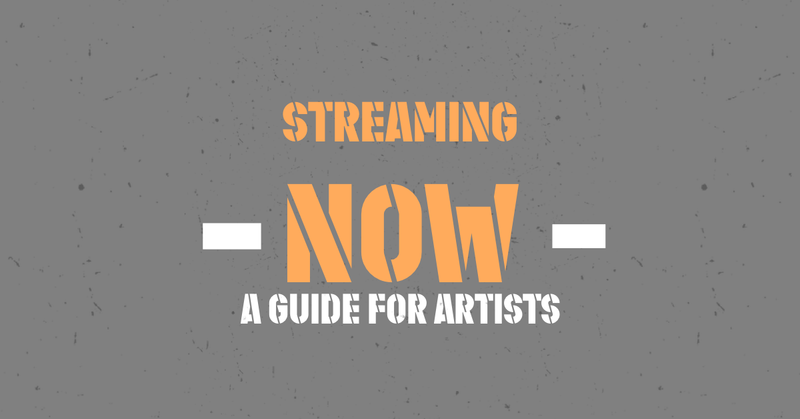 The film and program choices I have picked out are also noteworthy because so much of what is representative of the arts when it comes to TV can be a way off the reality of the art world. This is the first time I have introduced cinema and film releases onto this site but if this is something you would like to carry on seeing occasionally for films and arts programming, please let me know in the comments. If there are documentaries, films and features that also manage to educate about the art world that you can recommend, then please leave the titles in the comments too so that we can all take a look! Just before we sign off for this week, here's one of my latest creations which I released last weekend. 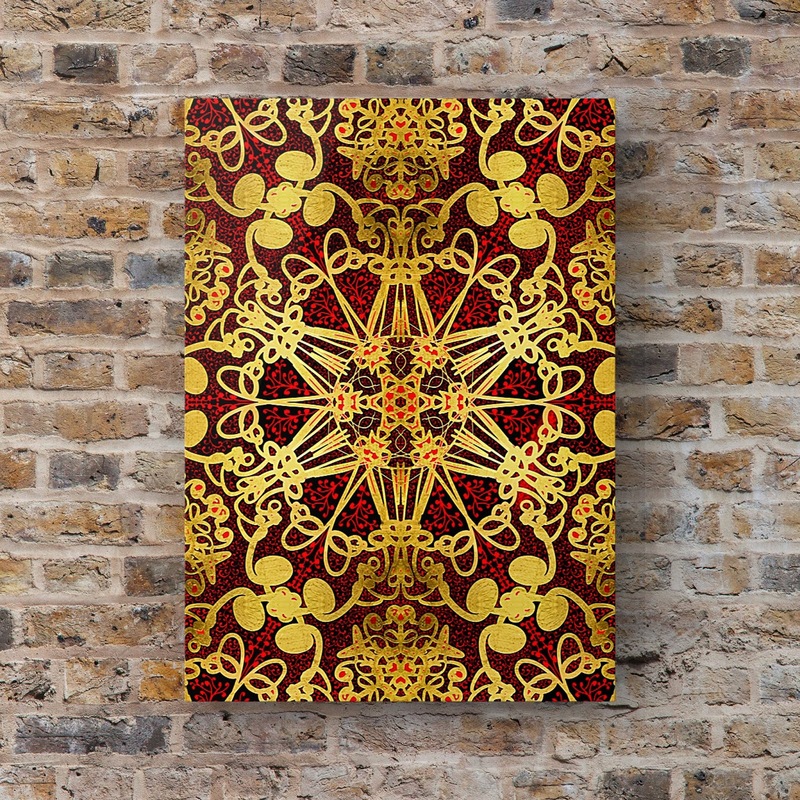 It is called Gilded, and it is available on a wide range of print mediums, clothing, soft furnishings (the pillows are amazing) and art collectibles. You can find the full range on my new look Pixels store right here. Gilded, by Mark Taylor - Available Now!